As Reported by BBG Watch. We have all heard this story told countless times by International Broadcasting Bureau (IBB) and Voice of America (VOA) officials and repeated continuously in media reports. The story may or may not be partially true. But the way it was told, it was highly misleading. Some call it government propaganda. May be it was ironic that government propaganda was used to remove a legal ban on potential domestic application of government propaganda efforts. But telling this story appealed to people’s fears to get the 1948 Smith-Mundt Act changed. It previously prohibited U.S. government officials from distributing in the United States news programs produced with U.S. government funds for audiences abroad. It should be pointed out that Voice of America journalists do not produce propaganda for any audience, foreign or domestic, but government officials in charge of VOA programs have been on occasion known to interfere with VOA news coverage. A Somali American radio station in Minnesota reportedly wanted to use VOA Somali broadcasts and IBB or VOA officials reportedly had to tell it that they can’t provide them. Or was it a Sudanese American station in Minnesota? U.S. government sources cite two different ethnic groups tied a Minnesota station. Both of them happen to be largely Muslim. Or many be there was no such request at all, or someone became confused, or IBB and VOA officials thought that members of the U.S. Congress might be scared enough by this example to give them the power to distribute programs to groups of Americans of various ethnic or religious origins or to allow them to air programs in America for whatever other reason? Only upon request, of course, because the government would never initiate or suggest such placement on its own, these officials keep assuring us when asked. If the government says this, it must be true. For some civil libertarians, there may be some disturbing associations here with the story of Japanese Americans during World War II or German Americans during World War I. Many German Americans happened to live in Minnesota during that period. These groups, which — as it turned out — had no intention of harming the United States, were exposed to U.S. government propaganda produced specifically for them and to much worse. Now, government officials assure us that they are forbidden by law to produce anything for audiences in the United States or to influence U.S. public opinion. Do government officials think that we should worry about what Somali Americans or Sudanese Americans might do if they do not get these programs directly from the U.S. government, just as some people had worried what Japanese Americans and German Americans might do if the government did not keep a close eye on these communities during war conflicts in early and mid 20th century? We are supposed to believe government officials when they say that they will not target Americans with propaganda? Many American taxpayers do not. They started question support for U.S. funded overseas broadcasts. This is very unfortunate because these broadcasts are desperately needed by people living in countries without free media. Before, most American taxpayers had no problems supporting such programs. They saw it as an investment in freedom and democracy and in their own security at home. What they did not want was to spend their tax dollars to support government press at home. That has become obvious from thousands of comments from irate taxpayers in hundreds of articles and blog posts published in response to the Smith-Mundt law change. In fact, if a Somali American radio station in Minnesota had wanted to use VOA Somali program, it would have been perfectly legal for that station to download the program off the Internet on its own and to use it, both before the law changed and now. The Smith-Mundt Act of 1948 did not prohibit any American citizen, resident in the United States or any U.S.-based media from using and re-broadcasting Voice of America programs in the United States if they could get it on their own without assistance from the U.S. government. The law was never about restricting the rights of Americans, it was directed against the government and its powers to influence public opinion. But International Broadcasting Bureau, Voice of America and some State Department officials wanted to have the power for themselves to distribute and to market news and information programs domestically. They did not have it under the old Smith-Mundt Act of 1948. They got it with the Smith-Mundt Modernization Act of 2012. It was incorporated and passed by Congress and signed by President Obama into law as Section 1078 of the National Defense Authorization Act (NDAA) for Fiscal Year 2013 (Public Law 112-239). Top officials and Congressional supporters of this flawed law appeared not to be worried by constitutional and civil liberties concerns or any possible public outrage to the passage of this law. They thought that using the example of Somali Americans or Sudanese Americans in Minnesota would certainly justify their desire to open for them the American media market. EDITOR, BBG STRATEGY BLOG: “Under the domestic dissemination ban, those requests, which ranged from Sudanese broadcasters in Minnesota to Cuban community broadcasters in Miami, were officially denied. The truth is, however, that many ethnic broadcasters used them regardless.” From: New Law Ends Smith-Mundt Ban On Domestic Dissemination Of Content, by Editor, BBG Strategy Blog, January 4, 2013. DAVID ENSOR, VOA: “Amendments to the Smith-Mundt legislation which were made in the recent Defense Authorization Act will allow us to build greater awareness of our impact, particularly in this country’s large and influential diaspora communities. 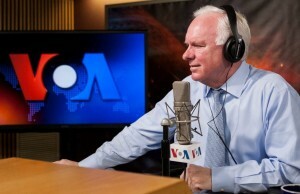 In the past, if a radio station requested — for example — a VOA Somali language program to broadcast to Somali immigrants in Minnesota, VOA had to refuse.” From: “The State of America’s Voice,” by David Ensor, VOA Director, Inside VOA, July 30, 2013. JEFF TRIMBLE, BBG/IBB: “Matt referenced an article in Sunday’s Washington Post on the front page which specifically documents efforts by an individual to reach out to the Somali-speaking community in Minneapolis to ensure that they have accurate information and to prevent them from being potentially targeted and recruited by al-Shabab to engage in extremism and even, conceivably, acts of terrorism. It is the case that a Somali-language FM radio reached out to us a couple of years ago from Minneapolis and asked us for Voice of America’s Somali-language programming to put on the air to reach exactly this community, and we were unable to provide that programming because of the Smith-Mundt ban. I can’t ensure that they aren’t taking that programming off the – off the VOA’s website and putting it on the air in any case, and that gets to an enforcement issue, but we were not able explicitly to authorize them to use this content. Again, this would’ve cost us nothing; it would not have been an expense to the American taxpayers and would’ve contributed, in our view, to the exact efforts that are being described here in this Post article, to prevent extremism here in the United States.” From: “Transcript for the July 2011 Public Meeting of the U.S. Advisory Commission on Public Diplomacy,” by Jeff Trimble, then Broadcasting Board of Governors executive, now IBB Deputy Director, July 12, 2011. U.S. REP. ADAM SMITH: “In another example, Smith-Mundt prohibited a request made by a Minneapolis radio station to replay, in the Somali language, a Voice of America (VOA)-produced broadcast developed for distribution in Somalia that would have provided fair, accurate and timely information to the large Somali diaspora. While it was developed for a foreign audience, this information was requested here in the U.S. because it would have essentially rebutted the propaganda and disinformation they were exposed to from al-Shabaab and other extremists. 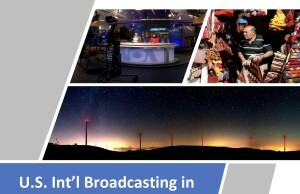 VOA declined the station’s request to rebroadcast the material, citing the Smith-Mundt ban on domestic dissemination. 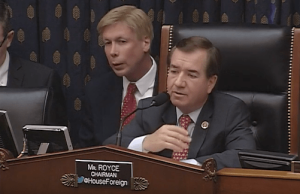 Our amendment would modernize these restrictions to allow the rebroadcast of VOA overseas material, but only upon request and only if they were originally developed for a foreign audience. The State Department, the BBG, and any other agency under their purview such as the VOA will still not be allowed to develop information for a domestic audience.” From: REP. SMITH CLARIFIES THE INTENT AND IMPACT OF THE THORNBERRY-SMITH AMENDMENT, by U.S. Rep. Adam Smith, May 23, 2013. The rest of the story will depend on what kind of public oversight Americans will be able to exercise over U.S. international broadcasting structure. International Broadcasting Bureau officials are already hard at work to make it as limited as possible. The only Republican member of the bipartisan Broadcasting Board of Governors (BBG) which oversees IBB and VOA, may soon be leaving his post due to a bureaucratic intrigue. The board should have four Republican and four Democratic members and even if two new Republican members are confirmed, it would still not be a bipartisan board. American taxpayers should not allow government bureaucrats to succeed in limiting public oversight over their media activities abroad or at home. Accountability and transparency are needed now more than ever. Next Story → Much of Voice of America content is third-party copyright-protected and cannot be easily re-used commercially in the U.S.